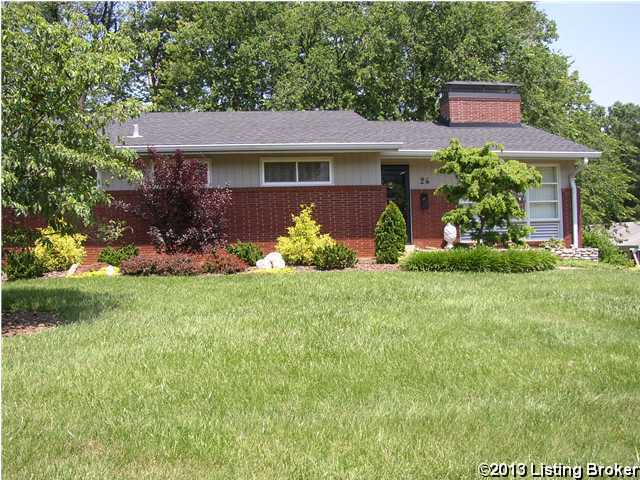 This is a one owner ranch style home located in a quiet and private neighborhood convenient to the many of the amenities available to the Rock Creek/Seneca Park area. There is a vaulted ceiling over the Living Room with a fireplace and Dining Room. The home has 3 bedrooms and a remodeled bathroom. Kitchen has some updates and appliances are included. The Lower Level has a large Family Room with a Full Bath. In addition there is a side entry lower level garage that can accommodate 2 cars plus additional storage. Outside there is a large deck across the back of the house and wonderful landscaping plus a storage/potting shed house with a front porch. Seller is offering a 1 year Home Warranty. Direction: Cannons Ln North of I64 to Old Cannons Ln, left on 2nd street on left. , Louisville KY 40207 is a Home, with 3 bedrooms which is recently sold, it has 1,827 sqft, 0 sized lot, and 2 Car Garage,Entry Side,Lower Level parking. A comparable Home, has 4 bedrooms and 2.5 baths, it was built in and is located at 3317 Nanz Ave Louisville KY 40207 and for sale by its owner at $ 314,900. This home is located in the city of Louisville , in zip code 40207, this Jefferson County Home, it is in the NONE Subdivision, and St Matthews are nearby neighborhoods.